Small books published in a feeble amount of copies were always an essential part of avant-garde culture. The intense group activity of surrealists even emphasized this aspect: that through knowing and owning such a publication one really became part of the group. This also explains the urge of Romanian surrealists for example to get hold of new publications or to know at least what was going on in Paris immediately after the second world war, when the channels of communication were slowly reopened. 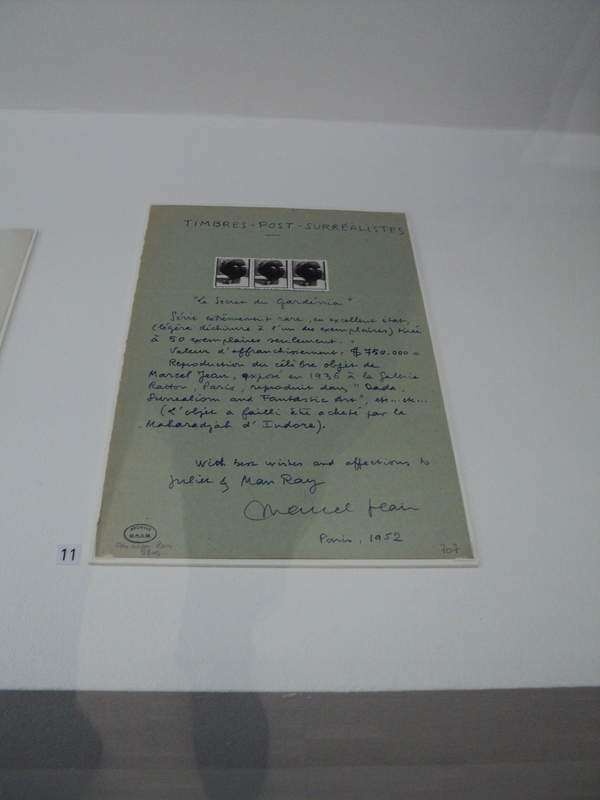 Gherasim Luca was the one who was insistently asking Victor Brauner and Nadine Krainik for news while sending to Paris bold and innovative surrealist booklets that were published in Bucharest. Marcel Jean (1900–1993), important surrealist painter, poet, essayist and designer was himself trapped in another Eastern European capital, Budapest, until the end of the second world war – he had been offered a job at a textile design atelier in Budapest in 1938, and although he and his wife planned to stay only for a year or two in Hungary, they had to remain there until the end of the war. He was, of course, initiated earlier on into the culture of booklets. 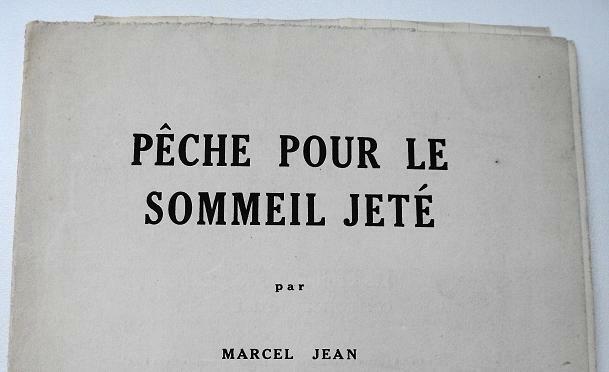 His 1938 booklet of poems, Pêche pour le sommeil jeté for example has only 8 pages, and it appeared in the collection Les Feuillets de Sagesse in Paris. In 1942, while in Budapest, he published 101 copies of a book called Mnésiques – a strange combination of fiction, essai, poetry and dream narrative, illustrated with drawings from a portfolio that can now be seen in the Peggy Guggenheim Collection in Venice. Although this was a somewhat “bigger” book of 48 pages, his intellectual isolation in Budapest made it a very intimate publication. 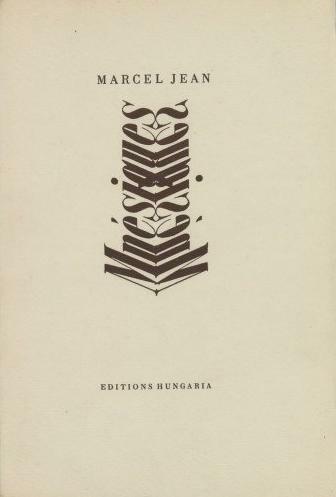 However, as he recollects in his memoirs, the book really functioned as a surrealist object, bringing him the friendship of Mezei Árpád, with whom later on he published three co-authored books and a commented version of the Chants of Maldoror. 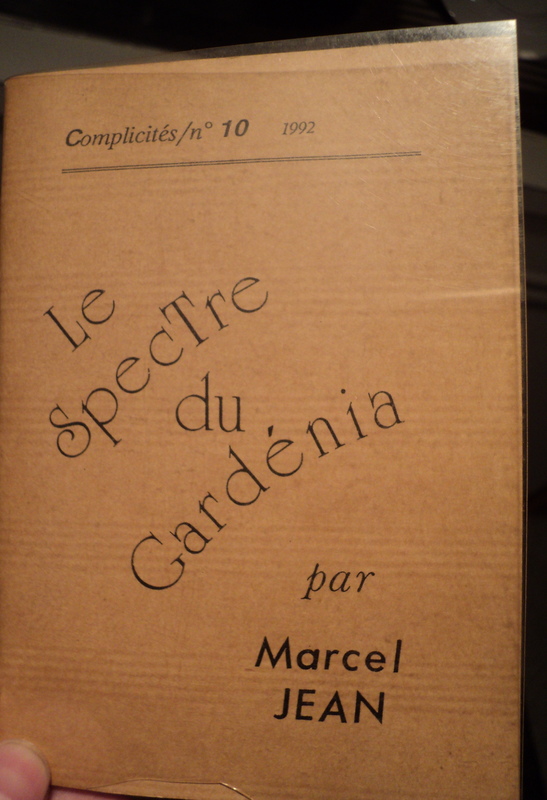 One of his last publications during his lifetime, in 1992, was another booklet, this time a publication about his most famous surrealist object, Le Spectre du Gardénia / The Specter of Gardenia. 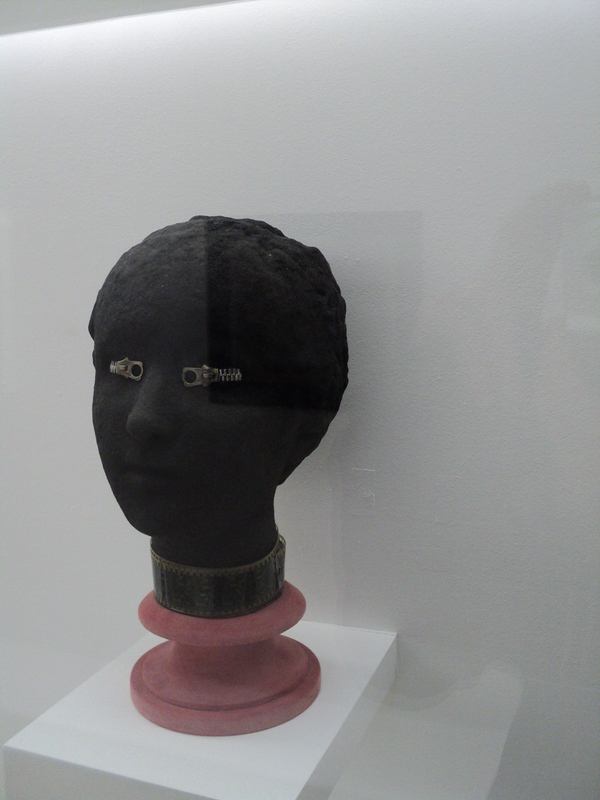 The booklet, published in the collection called Complicités, includes besides the reproductions of the head-object with zippers at the eyes two subjective accounts about the creation of the object, but also its interpretations: the Specter of Gardenia is one of those artworks whose story is part of their meaning. Initially, Jean wanted to call the head The Secret of Gardenia, but a misspelling in the first catalogue of the 1936 exhibition where it was presented made Jean change his mind. Chance is more than chance in surrealist art anyway, and the obscure, phantomatic, spectral character of the object is stressed by the new, definitive title. Today, some of Marcel Jean’s works are exhibited in the most important museums of the world, and he is the author of the first comprehensive history of surrealist painting, published in 1959. Yet he remains a discrete presence within the constellation of surrealist authors and their histories, a calm and good-humoured observer of himself and of surrealist struggles.